At the core of genealogy is our ability to identify an individual. In order to adequately identify a person, we need a name, date and exact location for at least one event in our ancestor’s lifetime. Of these three pieces of information location is absolutely critical for making a proper identification. To illustrate this point, imagine the situation of trying to find a person with a common last name in a large metropolitan area. There might be dozens of people with the exact same first and last name and coincidentally several of those might even share the same birth date. What truly differentiates them is they all reside at different locations around the city. In the process of researching our ancestors, it is easy for incorrect town names to get introduced into our data. If all genealogists followed rigorous research methods and their results backed up by multiple sources, this would not be a problem. In the real world people often accept information from public family trees or other sources without much scrutiny. 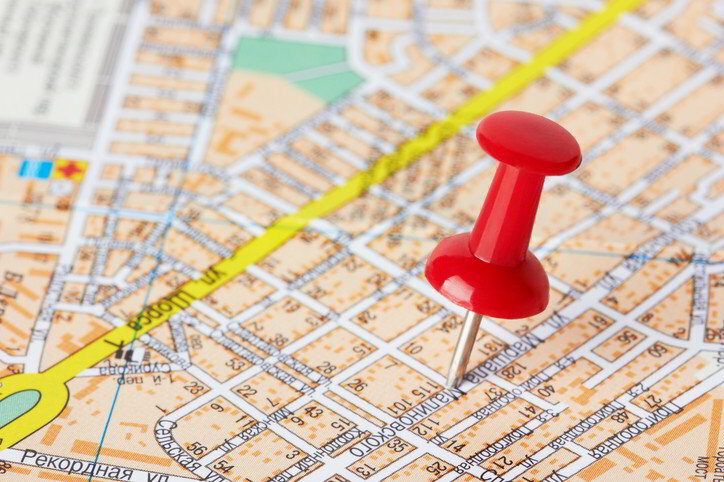 In these cases location data needs to go through an audit process to root out any inaccuracies. Misspellings are the most common problem with ancestral home location names. Sometimes the name of a town was passed along verbally by relatives and something got lost in the translation. There is no need to scour maps like we did in the old days, some excellent web resources are available to check the validity of a town. If you can’t find the town name you are seeking in one of the resources below, then it is likely you have an incorrect name and need to do more research to find the correct name. Believe it or not Wikipedia is a great tool for researching ancestral home town names. If the town has a Wiki page, you get the added bonus of leaning its history. This website provides boundary maps, current demographic data, local area photos, school districts, and Business Directories for 99,861 locations including: cities, towns, villages, counties, ZIP Codes and Census Designated Places (CDPs). The GeoNames geographical database contains over 10 million geographical names and consists of over 9 million unique features whereof 2.8 million populated places and 5.5 million alternate names. Does it make sense for your ancestor to be in that town? There are times that a location is valid, but just not correct. If it makes no sense for a person to be in a particular town or region of the country that is reason enough to warrant more investigation. Think about how your ancestor would have traveled there and why they would have made the trip. Generally speaking, people of sound mind don’t do things without a good reason. Do I have more than one source corroborating this location? The gold standard would be to have several records placing the ancestor in a particular location. Although this may not be possible in all cases, it is a good goal to aim for. The best way to have confidence in your work is by having sufficient evidence backing you up. If your genealogy research data has inclusions from dubious sources, it may be time to go back and audit each of your ancestral home locations. It is never a bad idea to review your work with a critical eye, it might be exactly what is needed. The simple act of asking yourself these questions could reveal hidden errors in your research.